Andreas Meyer is Head of Digital and Art Director at Industrie-Contact. His core competences are classic PR, online PR, SEO as well as web development and web design for various customers and projects, both national and international. His skills range from situation analysis to application and optimization of target-audience-oriented communication strategies. Andreas Meyer has been working for Industrie-Contact since 1998. Alongside graphic design for classic press work, his work mainly consists in planning and implementing digital marketing strategies. He has crucial insight on target groups, media and content in the development of analog and digital communication. Designing advertisements, brochures, flyers and posters is part of his day-to-day work, as is creating web design, mailings and newsletters. Use of numerous content management systems (CMS) as well as HTML raw coding are part of his key skills, which he uses for SEO, for example. Andreas grew up with a passion for technology; like many IT fans at the time, his first computer experience happened with the Commodore C64 –hence the expression “Generation C64”. While other C64 aficionados were hooked on the gaming, Andreas developed a fascination for the programming and the productive utilization of PCs in everyday life. 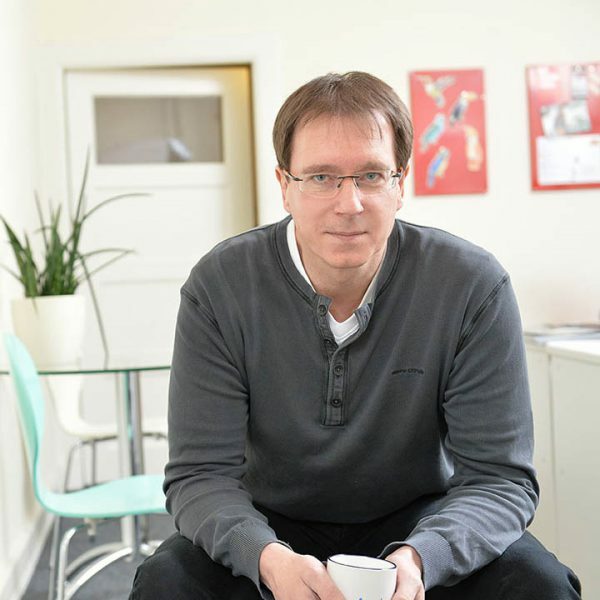 During his studies at the University of Lüneburg, he became particularly interested in Apple Macintosh and its application to graphics; he started working early on as a freelancer in graphic design and web design for various web agencies in Lüneburg. Technological developments and trends are Andreas’ major interests both in his job and outside of it, and are his key qualifications. In his free time, Andreas likes motorcycling around Hamburg, when he’s not riding his mountain bike along the Elbe, for example in the Elbtalaue biosphere reserve in Lower Saxony. His other hobbies include listening to music on high-end audio devices – a treat on rainy days.